GamesBids.com presents the ninth annual Top Ten list of Olympic Bid Stories for 2016. These stories impacted the course of Olympic host city bids, or the Olympic bid process, and formed interesting plot lines and story arcs for the year. We’ve run them down from 10th to 1st as the year ends – click on the links for details. There was fierce competition for cities vying to host the 2024 Olympic and Paralympic in 2016, only three survived. The Olympic bid process, from application to election, usually lasts about two years. The first year is used to get documents in order and rev up a domestic marketing campaign while the real action and campaigning begins in the final months, right? The current group of 2024 bidders didn’t get that memo. This has already been one of the most intense and creative Olympic bid races ever, and it has barely begun. Though a broad topic, the race in general deserves our number one spot on the top Olympic bid story list for 2016. For context, only two of the three scheduled bid book volume submissions are in to the International Olympic Committee (IOC) headquarters in Lausanne, with the third set due February 3. IOC visits to the three remaining cities – Budapest, Los Angeles and Paris – won’t get started until the end of April. There is so much yet to come. Thus far we have seen two bids drop from the race, there have been official reprimands, meme wars, espionage and strategies to dump the whole system and do something completely different. The holidays have given all stakeholders a chance to catch their collective breath. It was in 2015 that Hamburg was forced to pull out of the then five-city race after the German city narrowly lost a referendum. But in June this year Rome saw it’s hopes begin to drift away when Olympic bid opponent Virginia Raggi was elected as the city’s mayor – and from that point forward Italy’s Olympic project struggled to remain viable. Finally, in October, the Italian Olympic Committee was forced to suspend the campaign. We covered the drama of Rome’s Olympic bid in detail as our second biggest story of 2016. As the perceived front runners, Los Angeles and Paris waged subtle battles, trying to stay within IOC ethics rules that forbid bid cities from discussing each others campaigns, especially if in a negative context. Highlighting the list was an act of not-so-subtle espionage by the Paris campaign when in June the bid’s Chief Executive Etienne Thobois, along with other top bid executives and a French Consulate entourage, conducted detailed tours of some of Los Angeles’ proposed venues. When local L.A. news crews discovered the activity they descended upon the group who immediately ran for cover without offering comment. It apparently wasn’t against any IOC rules but it did catch the attention and dismay of the L.A. bid committee, as well as Southern California news outlets. The bold move by Paris’ Chief Executive was probably a good one. Happening early in the campaign, it’s probably an event that will be forgotten by IOC members on election day. But the valuable information gleaned could only benefit the French Olympic team as they campaign and promote their offering to sport federations and the IOC. Then, there was the meme war on social media over the sun. Who’s sun is it? Why do we care? It all went down on May 3, a day when the obscure “International Day of the Sun” is observed. 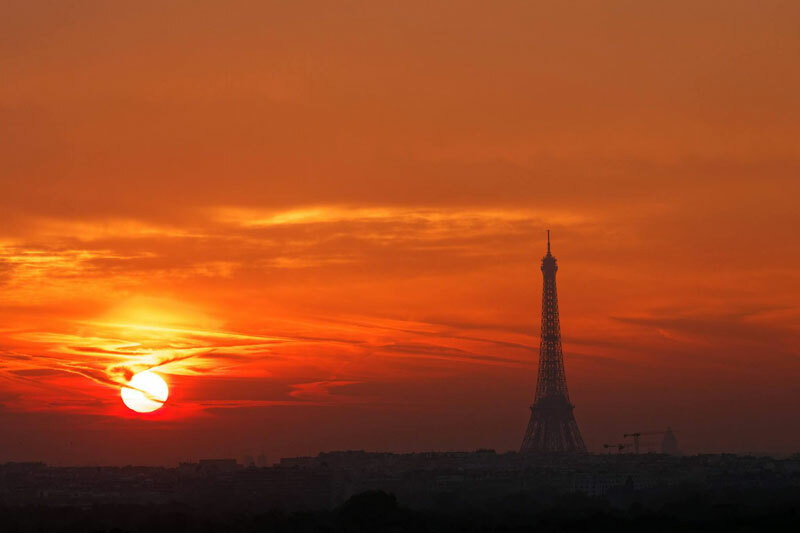 With the hashtags #CelebrateTheSun and the French-language version #JourneeDuSoleil, the official Facebook page and Twitter account for Paris 2024 showed sunny Parisian imagery and urged followers to share their own pictures of the same to commemorate the occasion. It was clearly an attempt to take something away from the LA 2024 theme and hashtag #followthesun, our nearest star that is an element integrated into the American bid’s logo and marketing. If you think I’m reading too much into this, top representatives for the two bids will prove you wrong. Mike Lee, the Chairman of Vero – a communications firm representing the Paris bid – made several Tweets extolling the International Day of the Sun and it didn’t go unnoticed by LA 2024 officials including United States Olympic Committee (USOC) Chief External Affairs Officer Patrick Sandusky who responded that it was sunny where he was too. He included LA’s #FollowTheSun tag. Where does the sun lead? L.A. and Paris clash on social media over the sun. With more than 16 months to go to the election, high tensions between the bids were palpable. The bids were brought together in Rio at the Olympic Games in August. The cities attend the Games as observers so that they can learn as they develop their projects. The IOC also allows each bid to hold 30-minute press conferences and provide a small area in their nation’s hospitality houses to promote their campaigns. The bid committees, according to IOC rules, may not explicitly invite stakeholders, or members of the media to any events in Rio during the Games that may be bid-related. Somehow these rules were broken and all four bids were reprimanded in writing. 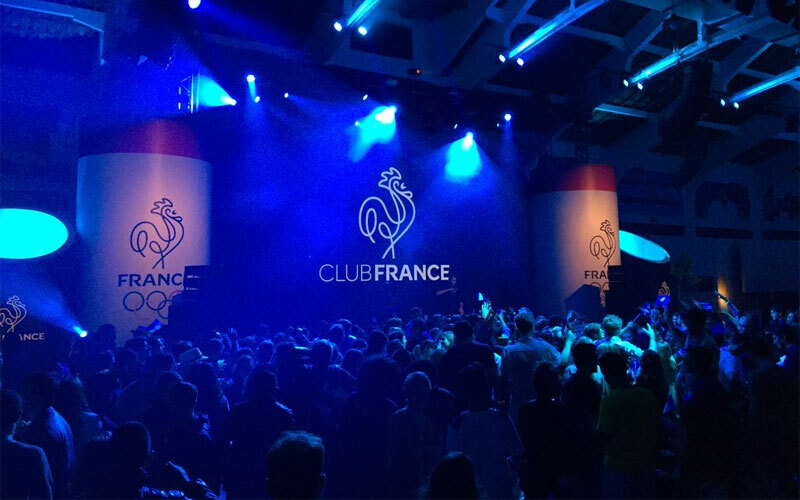 Rome 2024 invited journalists to a hospitality event at Casa Italia, Paris 2024 asked the media to attend a “meet and greet” with bid officials at Club France. And the Hungarian Olympic Committee extended an open invitation for media to visit the Budapest 2024 bid display at Hungary House. L.A. also received notice by the IOC. Though the rules are clear and are designed to prevent a marketing “arms race”, they are a bit extreme and it is hard to blame the campaigns for testing the boundaries in order to gain any advantage possible in this tight race. In a sign that the Rome bid was only holding on by a thread, the Italian bid passed on hosting a key press conference with the gathered world media. The other three bids made the most of the opportunity, watching the clock to ensure they did not extend beyond the allotted 30 minutes that would risk a further reprimand from the IOC. Later in August, the Los Angeles bid began acting like an organizing committee as it tried to differentiate itself from opponents by touting that preparations are already underway to host the Games; all of the venues and infrastructure already exist or have firm plans for their construction. First it highlighted a ground-breaking ceremony for the city’s new Major League Soccer (MLS) stadium being built for the LA FC franchise, a venue that is being pegged to host Olympic football in 2024. Then in September the bid publicized an “Olympic Village Dress Rehearsal,” a theoretical test event that was considered a success. Organizers helped facilitate the move-in of 12,800 University of California students into their UCLA accommodations, a process they say closely emulates that of the Olympic Village. The core message couldn’t be missed – one of the most costly, risky and complicated venues of he Games was already complete – and tested. L.A. made another unprecedented move to underscore its level of preparedness by delivering a budget that did not include capital investment costs for permanent infrastructure critical to staging the Games. That’s because, they say, there isn’t any. All required permanent construction is already planned, approved and scheduled to complete before the Games in 2024. The L.A. bid committee received permission from the IOC to delay the release of the budget so that it could be reviewed by an independent accounting firm. While L.A. and Paris were flexing muscles, Budapest did not stand idly by. The Hungarian bid showcased sport event achievements that focused on the rapid progress of preparations for the 2017 FINA Swimming World Championships. The world class swim venue, almost complete, was built on short notice for the event and would be the available swim venue for the 2024 Olympic Games. Budapest vehemently denied that it is an underdog in this race, pointing to past successful construction projects and the proud Olympic history of Hungary. 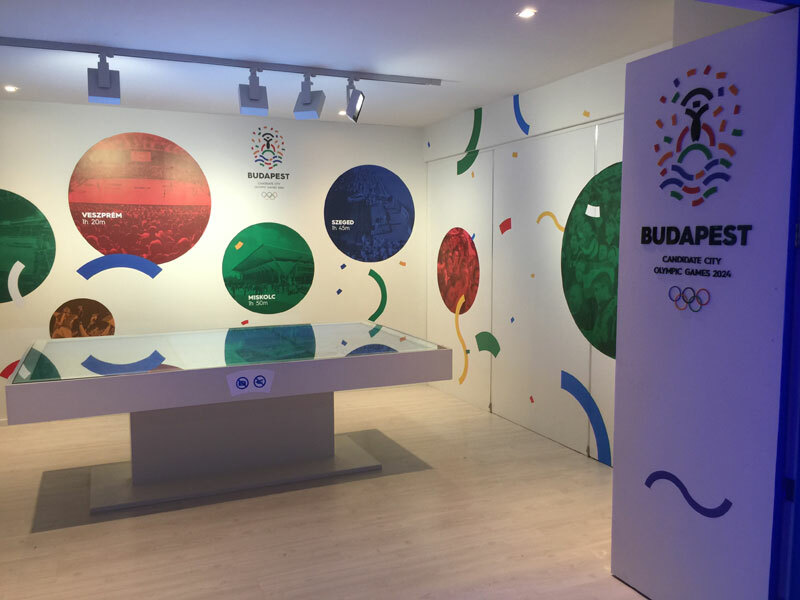 By choosing Budapest, Fürjes believes, the door will be opened for mid-size cities to host the Games – not just mega-cities that have been the trend in recent years. If all that wasn’t enough keep you glued to the Olympic bid race in 2016, there was this. Calls to completely flip the script and have the IOC select L.A. for 2024 and Paris for 2028, together at September’s IOC session in Lima, as a way for the IOC to effectively move forward with limited risk so that it can effect a long-term recovery. Wow. If that doesn’t set things up for 2017, I’m not sure what will. That’s it for our 2016 countdown, we hope you enjoyed it and are ready for more in 2017! Watch GamesBids.com or follow us on Twitter or Facebook and read the other top stories for the year, below. Happy New Year!